Tom Parkinson became the Senior Pastor of Dutilh Church on July 1, 2016. 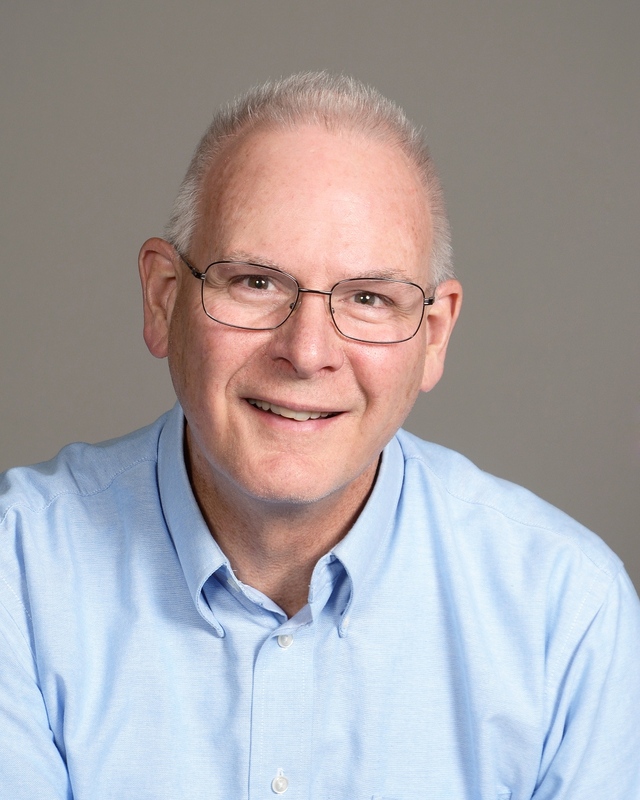 Born and raised in Indiana, PA, Tom first sensed God's call to pastoral ministry at age 14. In response to God's call he attended Geneva College, where he studied Philosophy and Christian Ministry. He then completed his Masters of Divinity at Duke Divinity School, where he also served part-time as the Associate Pastor of Duke's Chapel United Methodist Church. Upon completion of seminary he served six years as the pastor of Faith United Methodist Church in Fox Chapel, PA.
Tom is married to his college sweetheart, Amy. They are the proud parents of Isaac (10), and Naomi (5). In his free time, Tom enjoys spending time with his family, reading (especially biographies), all kinds of sports, and board games. Jim leads the small group and externally-focused ministries along with sharing the responsibilities for preaching, worship, and visitation. He has been the Associate Pastor since July 2009 and is a native of the Pittsburgh Area. He received a B.A. from the University of Pittsburgh with an M. Div. from Wesley Theological Seminary in Washington, D.C.
Jim and his wife, Joyce, have three adult daughters, two of whom live in the Cranberry Twp. Area and one in Indiana. Jim is an avid reader and enjoys running and camping. Diana joined Dutilh Preschool as a substitute in 2009. In August 2013, she became an assistant in one of the 3 and 4 Year Old classrooms. She has been the Duitlh Preschool Director since March 2014. Diana holds a B.S. in Elementary and Early Childhood Education from Clarion University of Pennsylvania as well as a Masters degree in Reading and Language Arts from Duquesne University. Diana previously taught First grade at St. Ursula School in Allison Park. Diana and her husband, Garrick, live in Cranberry Township with their two sons, Dalton and Ethan, and their Boston Terrier, Chloe. Diana and her family are members of Dutilh UMC. She spends her spare time with family and friends and by cheering on her boys in their sports and activities. Bud’s journey in ministry began around age 12 when he sensed a call from God. Choosing to move in a different direction, Bud attended Grove City College, where he graduated with a degree in Mechanical Engineering. After graduation God’s call became unavoidable and Bud began his adventure in student ministry at Slippery Rock UMC. After serving part-time for two years in Slippery Rock, Bud moved to Murrysville UMC where he worked in full-time ministry for eight years. During that time, Bud married his wife, Grace, and they had their son, Tripp. Bud, Grace, and Tripp joined the Dutilh family in January of 2019 where Bud serves to shepherd the spiritual growth of our 7th - 12th grade students and to provide resources to families navigating the ever-changing landscape of the teen years. In his free time, Bud enjoys spending time with his family and extended family, woodworking, and camping. Sarah Hogue has been attending Dutilh since the age of 2. She has a degree in Elementary Education from Indiana University of Pennsylvania. Sarah previously was the Assistant Preschool Director at Dutilh Preschool and the Children’s Ministry assistant. She has also directed Vacation Bible School since 2005. She is passionate about helping kids develop a relationship with Jesus and is grateful for the part she gets to play in the process. Sarah and her husband, Ron, have 2 sons, Sam and Timothy, and live in Cranberry Township. In her spare time, she enjoys reading and digital scrapbooking. Barbie joined Dutilh Church in January 2017 as the church accountant. She has a B.S. in Business Administration from Grove City College and has worked in accounting since graduating from college. Barbie and her husband, Mark live in Franklin Park and have two grown children, Rachel and Matthew. Barbie enjoys reading, going to Christian Concerts, gardening, and being outdoors. Matt became part of Dutilh's staff in March of 2018 as Media Ministries Coordinator. He was born and raised in Wampum, PA and attended the Art Institute of Pittsburgh where he earned a B.S. in Digital Media Production. After graduating Matt, began working at Console Energy Center, operating video displays and light for professional and college sports as well as large music and entertainment acts. In addition to his job with Dutilh, Matt owns his own Photobooth Rental business for weddings and other events. He first felt a call to ministries during an outreach mission to Togo, West Africa where he assisted in the construction of a hospital. Matt is a huge Pittsburgh Penguin fan and played hockey growing up and he also collects vintage video game systems. Mark Fischer grew up in the Shaler area of the North Hills, went to IUP to study Elementary Education, and moved to Maryland to teach with Calvert County Public Schools. Mark taught a variety of grades and subjects, but focused a majority of his career at the middle school level, teaching Science. Mark also coached many sports and was the Athletic Director at Mill Creek Middle School. Mark has been married to best friend and wife, Rachel for 12 years. Rachel works with JusticeWorks in Butler, helping young adults learn to live independently. They have 3 boys; Steele (11), Colte (9), and Trace (7). Mark and his family moved back home after many years to be closer to his family. They love to go camping in Mercer, PA with grandma and grandpa and love to participate in soccer and football. Mark feels as though God has placed him here in this position at Dutilh Church. In the summers Mark worked on the side as a handyman and rehabbed his 3 homes in Maryland. He is looking to do great things here at Dutilh Church with the support of all of you! Maureen became part of the Dutilh staff in the beginning of 2018 as the Director of Music Ministries. She grew up in the South Hills of Pittsburgh and attended Indiana University of Pennsylvania where she earned her B.S. in Music Education. Following graduation, Maureen moved to Maryland where she taught High School and Middle School choir for 6 years and in 2013 returned to Pennsylvania with her husband Eric and two children, Sam and Allison. After returning home, Maureen worked at the School of Rock in Wexford and served for three years as Music Director for Wexford Community Presbyterian Church. Maureen is also the owner and an instructor of a piano lessons studio, Cranberry Learns Piano, which specializes in in-home music lessons for students of all ages. When she is not busy with her jobs or taking care of her family, Maureen likes to run and has completed several races, half marathons are her favorite distance. Jenny joined the Dutilh Church staff in January 2019. A native of Issaquah, WA, Jenny holds a B.A. in English from the University of Notre Dame and an M.A. in Teaching from the University of Portland. She served as an administrator for 13 years at the University of Notre Dame, first in student affairs and then as assistant director of the Institute for Church Life. Since moving to Cranberry Township in 2013, Jenny has worked as a freelance writer and as a writing instructor at Butler County Community College. Jenny and her husband Kevin are the parents of four children. In her free time, she enjoys reading and outdoor activities. Donna joined the Dutilh team in February 2017. Born and raised in Pittsburgh, Donna was formerly employed as an executive assistant at corporate law departments in Pittsburgh, Charlotte, and Jacksonville. She has 2 adult daughters, one in Pittsburgh and the other in Vancouver, WA. Donna and her husband live in Cranberry and in her spare time she enjoys the YMCA, playing Scrabble and spending time with family, including two grandchildren in Vancouver, WA.